Heuston Station Dressed in Red. Before sunrise this morning (Sunday 24 February 2019) I photographed Dublin’s Heuston Station dressed in artificial red light. In the past, Heuston Station has been variously bathed in white light, green for St. Patrick’s Day, or variations on the Irish Tri-Colour flag. For these photos I worked with my Lumix LX7 mounted on a mini Gitzo tripod. I switched the image stabilizer ‘off’, and set the white balance to ‘daylight’. Exposures were calculated automatically with minor adjustment in-camera. Here we have a variation on a theme. 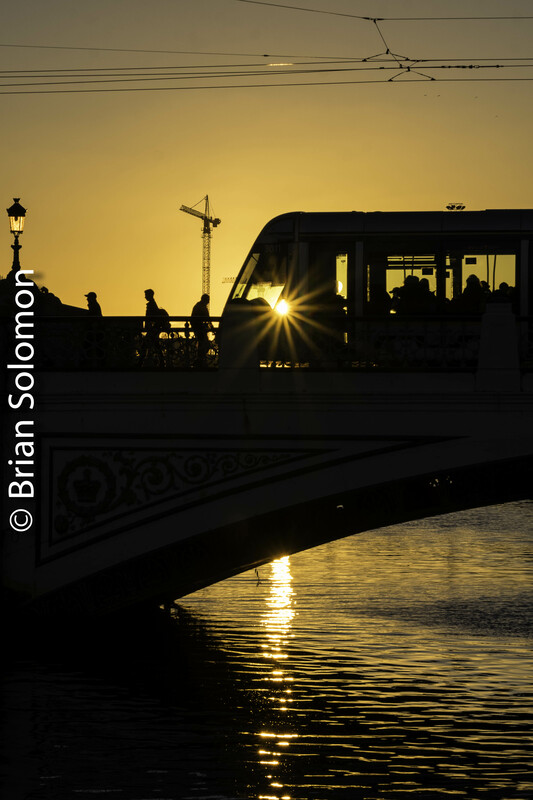 Previously I published photos on Tracking the Light of Dublin’s LUAS specially painted Sky tram, and on a different day a panned image of a LUAS tram crossing Kings Bridge (Sean Heuston Bridge) near Heuston Station. 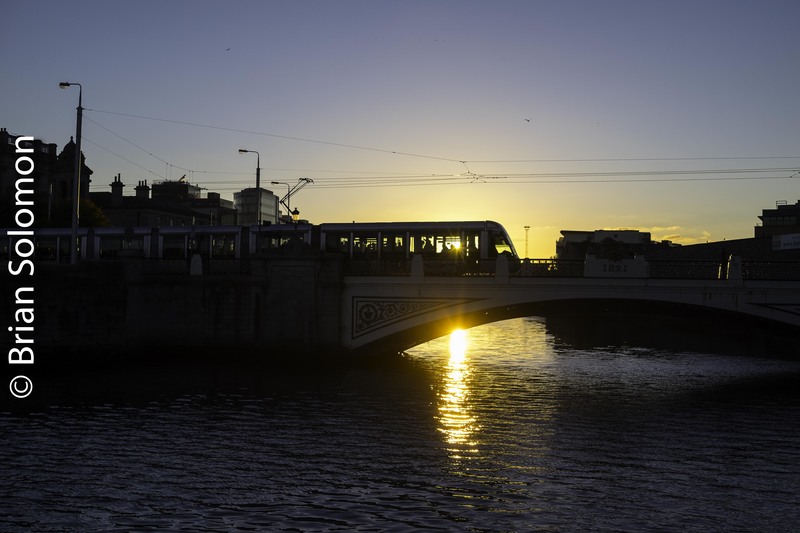 The other night on my way over to the Irish Railway Record Society premises (where I’m doing a bit of research in the library), I noted the one-of-a-kind Sky painted tram working outbound. 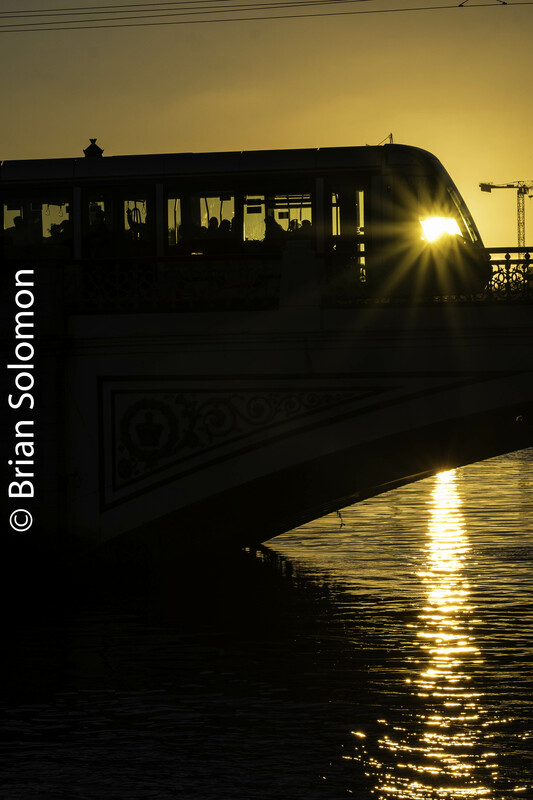 I dug my Fujifilm X-T1 out of my back pack and made a series of panned images in ‘flutter mode’ of the tram crossing the bridge at dusk. Exposed digitally using a Fujifilm X-T1 at ISO 6400 at 1/8 of a second at f7.1, 32.5mm focal length with a 18-135mm lens. 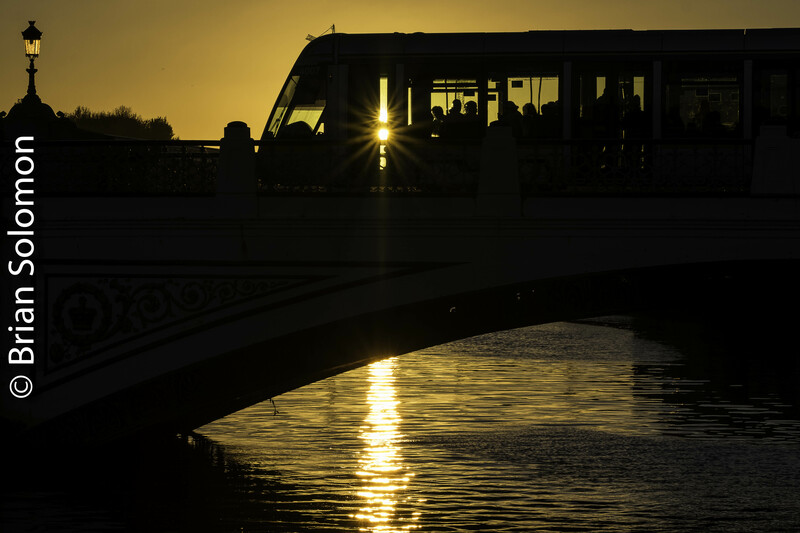 The Sky tram paused at Heuston Station. In just a few more minutes the last of the blue would fade from the evening sky. Often, I build on past efforts, and this a good example of putting the pieces together. Visually, of course.